All bookings made prior to the event must be paid in full to guarantee registration. Once payment has been received, an email confirmation and a receipted invoice will be sent. If payment is not made at the time of booking, registration will be provisional. Bookings received less than two weeks before the event date can only be paid by credit card. Participants should advise of any special access requirements at the time of registration. Registration information will be sent to registered participants by email at least seven days prior to the event. Any participant not receiving the registration information should contact us by email to ???????. a) WSET reserves the right to make alterations to the event programme, venue and timings. b) In the unlikely event of the programme being cancelled by WSET, a full refund will be made. Liability will be limited to the amount of the fee paid to WSET for the event. c) If it is found necessary, for whatever reason for the event to be postponed or for the dates to be changed, the organisers shall not be liable for any expenditure, damage or loss incurred by the participant. d) If by re-arrangement or postponement the event can take place, the booking between the participant and the organisers shall remain in force and will be subject to the cancellation schedule in paragraph 3. Views expressed by speakers are their own. WSET cannot accept liability for advice given, or views expressed, by any speaker at the event or in any material provided to participants. For promotional purposes, there may be a professional photographer and video production taking place during the event. Persons who do not wish to be filmed or recorded should advise the organisers by email prior to the event. By submitting registration details, participants agree to allow WSET and companies associated with the event to contact them regarding their services. 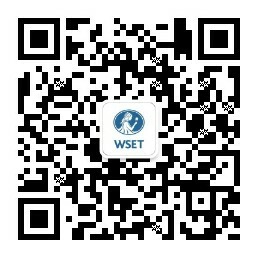 Participants who do not wish to receive such communications please email marketing@wsetglobal.com. The contact details of registered participants may be placed on the attendee list which will be passed to sponsoring companies and to all attendees for them to see who is at the event for the purpose of networking and meetings. Participants who do not wish to be included on this list should advise at the time of booking. WSET websites may link to other websites and networking tools provided for the convenience of the users. The contents of these websites are maintained by their owners, for which WSET takes no responsibility. Neither can responsibility be taken for contents of any website linking to this website. It is the responsibility of the participant to arrange appropriate insurance cover in connection with their attendance at the event. WSET cannot be held liable for any loss, liability or damage to personal property. a) WSET may use the speaker’s name and presentation materials for promoting attendance at the event. b) Presentations and papers including all associated artwork and illustrations will not be returned unless specifically requested by the author. The papers must be objective and completely free of advertising and commercialism. c) WSET may audio and/or video tape the speaker’s session and the recording may be reproduced and sold as part of the overall event materials. This allows participants who are unable to attend to purchase audio/video copies of presentations. d) WSET may reproduce copies of the speaker’s presentation (eg. PowerPoint slides or supporting handouts) on paper and/or electronically and these may be sold as part of the overall hand-out materials during and after the event. Any acknowledgement regarding Copyright or support should be included at the end of the abstract/presentation, before distribution. e) Speakers who do not wish to give permission for the above terms and conditions, please email the organiser before the commencement of the event.